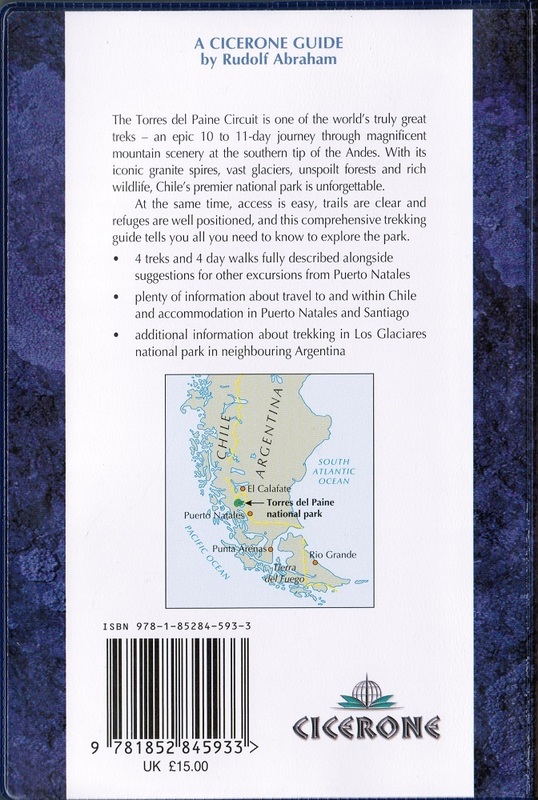 Guide book to trekking in Chile and Patagonia, with emphasis on low-impact treks. 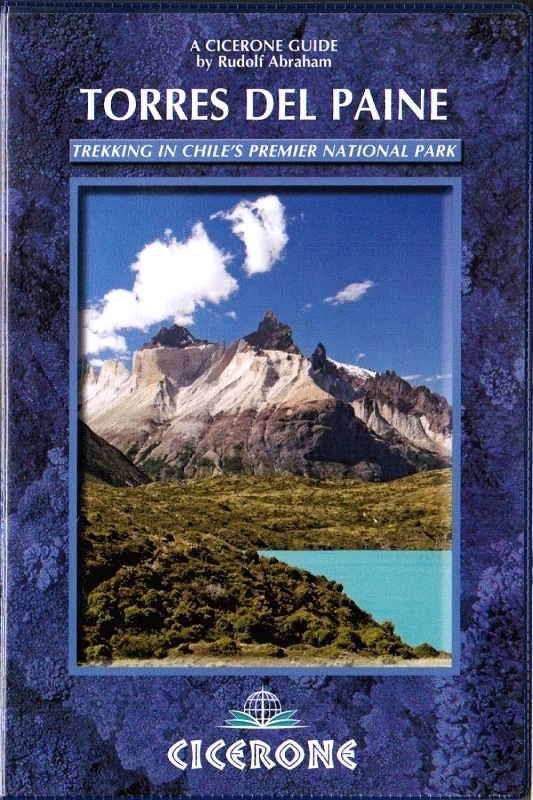 Routes include the Torres del Paine Circuit (10-11 days), Half Circuit (4-5 days) and other 2-day treks: Laguna Verde, Rio Pingo and Laguna Azul. Many other routes and information on mountain refuges and how to link routes together. December–April. January–February is high season, when most visitors arrive, so can be a little crowded. Overall March is best. Puerto Natales is the gateway to Torres del Paine, and also the base for short trips to the Balmaceda Glacier and Sierra Baguales. There are multiple bases in the national park itself. No technical difficulties, but the Torres del Paine Circuit is a long and, at times, remote undertaking from which there is no convenient exit point half way through. 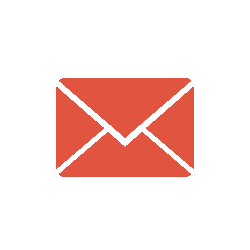 Sudden changes in weather, gale force winds and torrential rain can turn it into a far more difficult undertaking. The magnificent granite spires of the ‘towers’ (Torres), and distinctive, banded form of the ‘horns’ (Cuernos); vast glaciers (Grey, Tyndall and Dickson) spilling out from the largest sheet of ice in the southern hemisphere outside Antarctica; beautifully unspoilt southern beech or lenga forest; rich and varied animal and birdlife; remote valleys and immense, cloud–streaked skies. The Torres del Paine Circuit is one of the world’s truly great treks, an epic 10 to 11-day journey through magnificent mountain scenery at the southern tip of the Andes. With its iconic granite spires, vast glaciers, unspoilt forests and rich wildlife, Chile’s premier national park is unforgettable. At the same time, access to the park is easy, trails are clear and refuges are well positioned, and this comprehensive trekking guide tells you all you need to know to explore.